Dr. Jason A. Clark is a board certified dermatologist and fellowship trained laser and cosmetic dermatologist. He is an expert in cosmetic procedures and aging skin. Born in Cincinnati, Ohio, Dr. Clark attended Walnut Hills High School, a public exam high school with a three-year Latin language requirement. He was a national merit scholar and graduated with a 4.0 GPA. He went on to attend Emory University. At Emory Dr. Clark majored in Psychology, minored in Anthropology and fulfilled his premed requirements. Dr. Clark studied Art History in France. He graduated Phi Beta Kappa. After college, Dr. Clark applied to Teach for America and taught 5th grade at M. Agnes Jones Elementary School in southwest Atlanta. He obtained several grants to fund classroom activities and was nominated as teacher of the year. Two years later, Dr. Clark left Atlanta to attend medical school at Duke. During medical school, Dr. Clark spent a year at the National Institutes of Health (NIH) in Bethesda, Maryland conducting research on keloids and graft-versus-host disease. Dr. Clark was awarded the Cavanagh prize for his research and academic achievements. He earned membership in AOA as a junior and graduated first in his class from Duke. Following medical school, Dr. Clark returned to Atlanta where he completed his residency in Dermatology at Emory. During residency he traveled to Haiti to aid earthquake victims, co-founded EDGES, a group devoted to bringing dermatologic care to the underserved abroad, and served as chief resident. 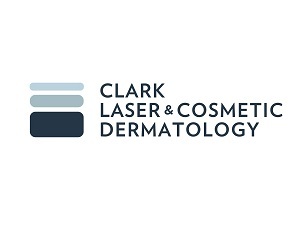 In 2012, Dr. Clark moved to Boston to pursue a fellowship in laser and cosmetic dermatology and research at Harvard Medical School. While at Harvard, he continued his research on scarring and traveled to Vietnam to aid children with disfiguring scars and birthmarks using laser surgery. Dr. Clark moved back to Atlanta following his fellowship. He is delighted to provide excellent laser, cosmetic, photomedicine and medical dermatologic care to patients in Atlanta and throughout the Southeast.